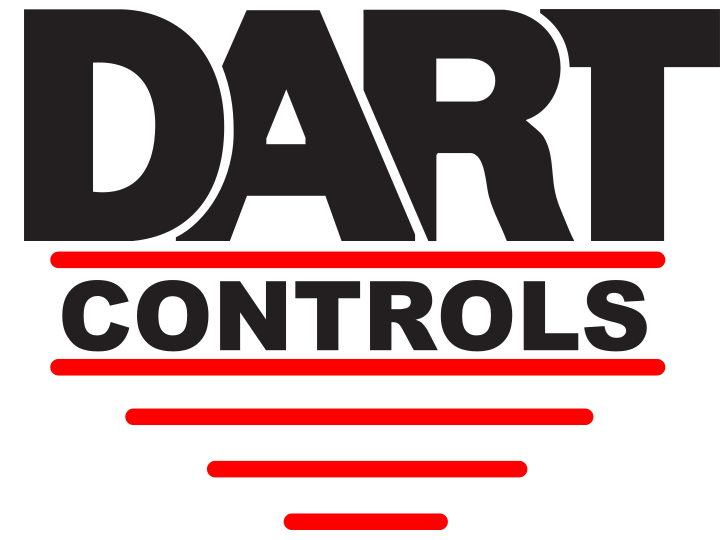 Powermatic Associates is the authorized distributor for Dart Controls throughout Northern California, Central Valley California, Austin, San Antonio, and throughout central and south Texas. 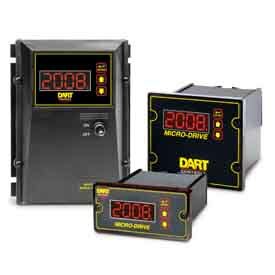 Standard Features include: Precise speed regulation, set speed repeatability, 1/2″ LED display, field programmable for RPM, FPM, GPM, Process time, or other engineering units. Programmable parameters include decimal points and operating mode (master or follower). Maximum input pulses are 50,000 pulses per minute. Faceplate gasket kit. Universal power supply-One model for both 120VAC and 240VAC input. Standard Features include: Dual voltage via slide selector switch, NEMA 4/12, adjustable MIN, MAX, ACCEL, DECEL, I.R. Comp, and CUR LIM, AC fusing, transient protection, and speed potentiometer with leads, knob and dial. 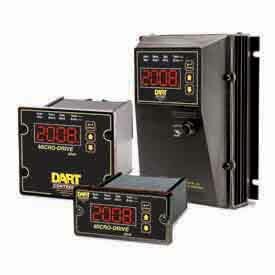 RC and RE versions include power interrupt relays. Standard features include: Dual voltage, NEMA 4/12, adjustable MIN, MAX, ACCEL, IR COMP, and CUR LIM, AC fusing, and speed potentiometer with leads, knob and dial. 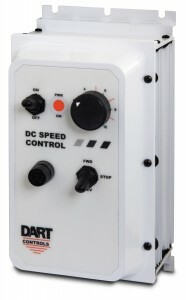 Standard features include: Dual voltage, NEMA 4X, adjustable MIN, MAX, ACCEL, DECEL, IR COMP, and CUR LIM, AC fusing, speed potentiometer, power On/Off switch and lamp. Standard features include: Dual voltage, adjustable MIN, MAX, IR COMP and CUR LIM, fixed ACCEL equal DECEL, and speed potentiometer with leads, knob and dial. Standard features include: Dual voltage, adjustable MIN, MAX, and IR COMP, line voltage compensation, knob and dial only, pot is build in. Now available in 2 chassis styles, NEMA 1 and NEMA 4 enclosed models. Standard features include; Adjustable min, max, IR comp and current limit, fixed accel, 5K speedpot with leads, dial and knob included. Transient voltage protection, onboard dynamic brake resistor, automatic dynamic breaking on power loss.